Most people use software tools these days to create their org charts — general purpose drawing or org chart tools like Visio, PowerPoint, or OrgPlus. If you want to actually “distribute” org charts you need to transfer these files to a format you can publish – typically PDF – and then figure out a way to share them; typically via a document, by email or posted on your intranet. By the time you get this editing and publishing work all figured out and done, the organization has already changed (again). (In a recent blog we suggested you check out this cool video that shows just how often that happens at a typical company). So we have come up with 7 good reasons you might want to move this process to the cloud, and make a change to Organimi. Displaying an Org Chart in a Document or Presentation Shouldn’t Be So Hard! Larger Org Charts that need to be displayed across pages are a pain to do with a drawing tool. Once you get beyond a few dozen employees, it is a nightmare to display your org charts. Organimi makes it easy for everybody to access, navigate and explore your org charts, through their browsers. Org charts can be embedded in others above and below them so you can “drill down” to where you want to go. Everyone can access and interact with them. So they aren’t just easier to create, they are also a whole lot easier to share and use. Can Your Team Be Confident Your Org Charts Are Always Up to Date? Charts created with drawing tools are usually distributed via email, saved in a file somewhere, or stored on an intranet. You know how many people spend any time there! This makes it hard to know if the version of the Org Chart you happen to come across is the most current. With Organimi, not only can you choose to share the workload on updating your org charts if you want; you also always know – for sure – that you’ve posted the most recent version and it is always accurate and always available for people to access. Print Great Org Charts When You Need Them! We all dream of the paperless office, but let’s face it. Sometimes you just need to get a printout of your org chart. Drawing tools don’t handle things like splitting an Org Chart across pages, making printing difficult. Organimi makes it possible to print the org chart in whole or narrow it down to any department, region, group or team you want to. How Does Having A Dynamic Org Chart, Photo-Board and Staff Directory Sound? Drawing tools produce static, paper based org charts. The staff directory is somewhere else. And the photoboard somewhere else again (if anywhere). Many companies want a more interactive and engaging system to help employees get to know each other. Organimi makes it possible to create photoboards with one-click, from the same data, so you get a “2 for 1” benefit. The user profiles also make it possible to easily create, display and update the office directory, with rich user profile information that goes beyond name, title and phone number. “3 in 1” – totally awesome. Make everyone a star! Keep Your Org Chart, Photoboard & Directory Close At Hand; Everywhere You Go! Org Charts created with drawing tools are not accessible from mobile devices. Even if you can set your systems up so you can access the intranet and see the pdf versions, they don’t display properly or they are impossible to read. Doesn’t it just make sense to have them available on your phone, tablet or laptop, from anywhere, at any time? 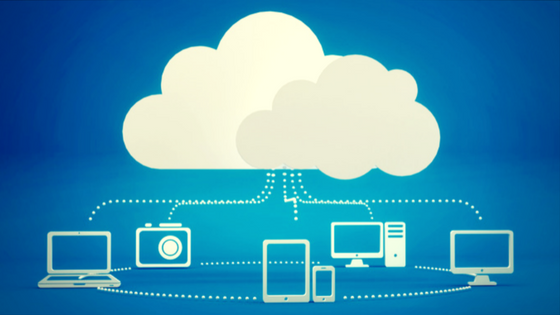 Organimi delivers all that, via the cloud, with immediate and interactive access to you. Comes in handy if you are trying to remember a bit more about who you are meeting with…before the meeting. Can You Hit Deadlines Now …..with Time to Spare? Drawing tools leave you scrambling to update charts or create new ones reflecting planned changes whenever there is a deadline. Organimi makes it easy to edit and update existing charts – and even produce new ones – in minutes. Saving you valuable time, and reducing the hassle of “fiddling” with those painful org chart changes. Organimi Provides A Better Way To Create, Update and Share Simply Awesome Org Charts…without the Cost and Aggravation of the Software Packages Out There.